As an avid boater, I always check the weather outlook before charting my path and timing. When making commercial real estate decisions, knowing where we are and understanding potential headwinds can help us chart to smoother waters. 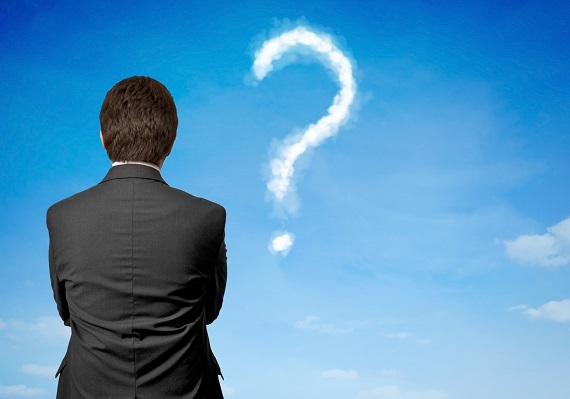 Where are the opportunities and potential headwinds in the various real estate sectors? 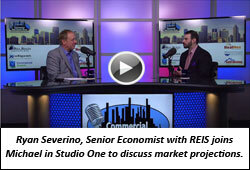 One of my favorite prognosticators on the future of CRE is Ryan Severino, Senior Economist at REIS. Ryan joined me on a recent episode of the Commercial Real Estate Show to share his view on the immediate and long outlook for U.S. multifamily and commercial real estate. 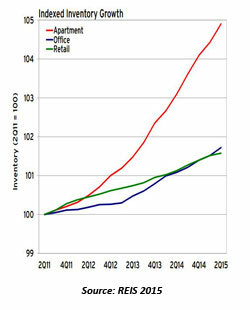 Despite the increased cost, the trend is for more space and across the board net absorption. Typically leases don’t change until it’s necessary. Some leases signed at the bottom of the market will be adding to their space, despite cost increases. It might seem that antithetical trends are at work: Less square footage per employee yet firms are leasing larger spaces. There are strong trends toward more common space, and a shrinking private footprint, but many employees don’t need to be in the office every day, allowing more employees to share less space. Tech and design firms have perfected the open plan format, but it’s not for everyone. Traditional businesses still consider a private office essential to doing business and expect employees in the office throughout the week. The job market has improved. To compete for top talent, offering better spaces to your employees will be important, whether that’s state of the art creative space or the old-school corner office. Lack of construction has created upward pressure on rates and valuation, great for landlords and investors. Historically the rate of construction is extremely low, 10-15% and only in the hot markets. This is squeezing rents higher. There’s definitely rate shock, in some cases rents 30-40% higher than a company’s last lease. But the market is strong enough to endure it: companies are paying for their previous space and leasing more. Which serves to drive fundamentals higher, and closer toward justifying new construction. The market is aggressive and Office is hot. Investor interest is high, and thus cap rates are low. Overall we’re looking at low 6.0%s. The challenge when you sell is, do you invest in another low-cap office property? No longer the stepchild of CRE, Industrial is currently the most favored sector. There’s huge demand, foreign money pouring is in, and cap rates are compressing. Industrial fundamentals have been very good for a while. The challenge has been that properties tend to be on the smaller side. Recently significant foreign purchases have been multi-billion dollar portfolios. The Industrial story everyone knew was the million-plus sf mega warehouse for ecommerce. But in the last six months the story’s been changing. Vacancy rates are dropping across the size spectrum. Smaller spaces closer to the customer are in great demand. It’s a rapidly evolving market with lots of creative reuse. We don’t see a tremendous amount of construction, repurposing is the game. In our recovered economy, consumer demand for immediate fulfillment is creating demand for unique logistical problem solving, and that means creative use of space. Outlook for Industrial is absolutely positive. GDP is growing, trade volumes somewhat stagnant to generally increasing, labor market increasing, firming up of wages, that portends good things to come. Construction will pick up, but demand will exceed construction. Long the darling of CRE, the sector has vacancies below 4%. That level of demand is considered unsustainable, considering the swollen supply pipeline of new supply. The amount of demand is surprising a lot of people. Cap rates are near historically lows, 6% on average, and as low as 2-3% in hot markets. Our better economy means Gen Y, a large customer pool, has more money to spend on rent. They’re well employed and apparently happy to go on renting. However, older Gen Y are moving into their mid 30s and getting ready to settle into family life in higher numbers. There still is some correlation between age and the home ownership rate. Residential real estate is perking up, and that impacts CRE. Volume is trending up, and refi activity is down. First time homebuyers are slowly returning to the market. Overall, REIS is optimistic, but notes it’s time to be cautious now. The market will not be as forgiving going forward. As the pipeline swells, demand will begin to fade. The headlines don’t tell a very interesting story. Vacancy is slowly compressing, rents are slowly rising. High-end and low-end centers are doing well. Middle market retail is still looking for demand to return. But the fascinating story is the fracturing of demand and the impact of the Internet on spending habits. Retail is evolving, with a proliferation of retail subtypes that didn’t exist before. New formats like Power-, Lifestyle-, and Outlet-Centers are now established phenomena. Mixed-use centers are hugely popular with consumers. New supply? There is so little as to be virtually nonexistent, but plenty of adaptive reuse. So demand translates into upward pressure on rents. Cap rates are low; they have come down over the past few years. If you’re looking at higher cap properties, you need to understand what’s going on. Is it merely the tepid recovery, or is it a local story? Retail is a hyper local sector: sometimes it’s obvious, in other situations it’s highly nuanced. B and C class property can really improve with the economy, and with the right vision. But Retail requires intense management involvement, and you need to understand your niche. Retail is really impacted by housing. The adage is: ‘retail follows rooftops.’ Today, with so few new housing starts, you still want to look where population is growing and home sales are strong. Choose the right market for success. It’s expected we will get another 2-3 years recovery in this run. If you’re underwriting 5-10 years out, be cautious. You will need higher exit caps, 100-200 bps higher that you do today. So according to Severino, if your destination is close, the skies are blue. If your destination is further out, you may have to navigate for at least some stormy weather.